Baskets can be made from a range of materials but are most frequently made from willow in the UK. There are many different varieties of willow that are grown for their different color, size and strength. Willow with the bark left on is known as brown, steamed willow is black, willow with the bark stripped is white and stripped willow which has been boiled with bark is called buff willow. 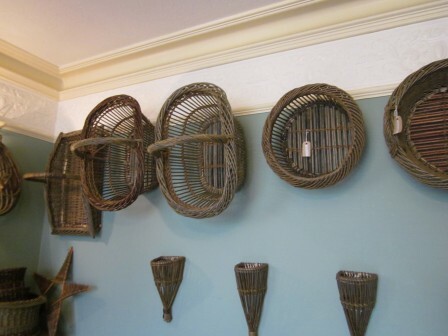 Willow is very versatile and there are many different sizes and shapes of willow baskets for a wide range of uses.